If you’re one of those who think Sam Adams is no good because they got too big, read this article by Jim Koch… then come back here. I will always remember Samuel Adams Boston Lager as the first beer I had on my 21st birthday. Up until that time, beer was just yellow fizzy stuff with little to no flavor. Sam Adams changed my mind. So anytime I see a new beer from the Boston Beer Company I’ll grab it and give it a try. They’ve earned a lifetime pass as far as I’m concerned. When I heard about the small batch series of brews from Samuel Adams I was on-board from the get-go. Bright and intense with a vivid hop punch. This unique double IPA takes the style’s origins a step further. IPAs were born out of making an ale that could sustain a long voyage. For our take, we were inspired by the indominable Capt. James Cook whose 3rd voyage made him the first to navigate a treacherous route from England to New Zealand to the Pacific Northwest. Using Cascade hops from each of these regions we created a brew that’s citrusy, earthy, and full of bold character. At Samuel Adams we love experimenting. This series of limited edition brews represents some of our favorite small batch creations. According to the Samuel Adams website, this is one of four limited release beers in this small batch series. 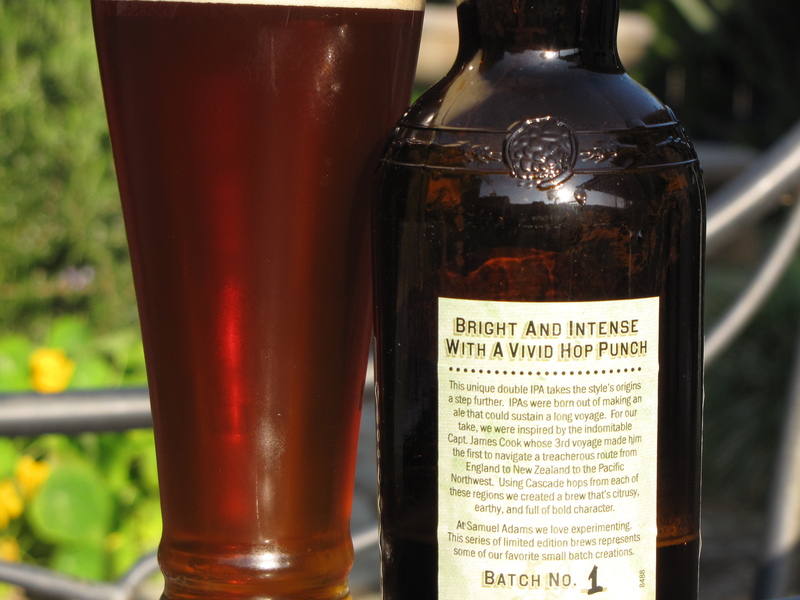 Third Voyage pours a deep reddish copper color with a healthy head and really nice hop nose. I waited a bit for the head to die down before taking my first sip, but it remained thick and full. I had to sip it down to get my first taste of this Double IPA. It is well balanced with a really nice blend of grapefruit and pine flavors coming from the hops and a mild sweetness and earthiness from the malt. It is a really good complex brew that I thoroughly enjoyed. I’d definitely buy this one again. It’s a limited release beer, so you’ll probably have to do some beer hunting to find this one. This one gets 4 beer soaked caps from me. 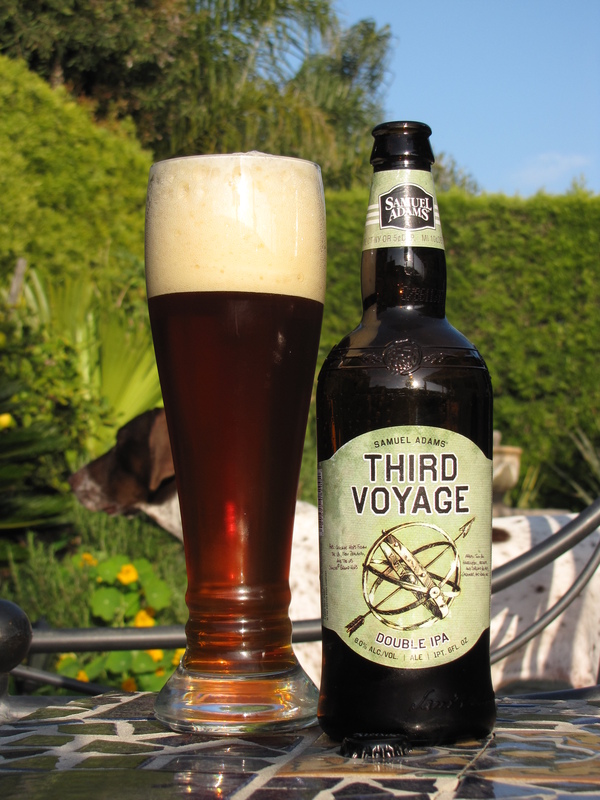 This entry was posted in Double, IPA, Review and tagged 4 caps, 8%, Double, India Pale Ale, IPA, Sam Adams, Samuel Adams, Third Voyage by Erik. Bookmark the permalink.